Each week beginning January 28th, I will post an easy to do weekly homework section of the afghan. As we work through the weeks you will end up with a beautiful afghan. You can also join the Beatrice Ryan Designs CAL Group on Facebook to join the fun, post pics and get input from all of the group members!! All you need to do is tune in each Sunday here on beatriceryandesigns.com to get the weekly instructions… You can also subscribe to my posts by email in the right sidebar where it says “Stay Connected” and the posts will automatically come to your email!!! 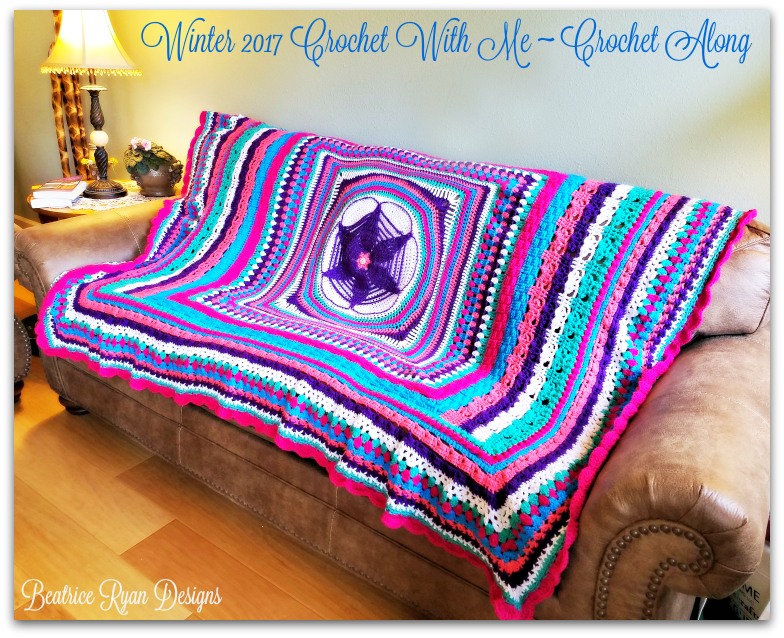 This week the material list is in this post..
Crochet with Me!! Winter 2017 CAL… Week 12 Finale!! Here we are… The end of this year’s Winter CAL!! It has been an honor and pleasure to present you with this years mystery afghan! I hope you all have loved it as much as I have! A big thank you to Red Heart Yarns for providing a nice discount on our online purchases and the lovely prize package I will be giving away (details at the bottom of the post). If you followed along in my Facebook CAL Group… It was so much fun having you there… Stay tuned in May for a short 3 week summertime CAL!! 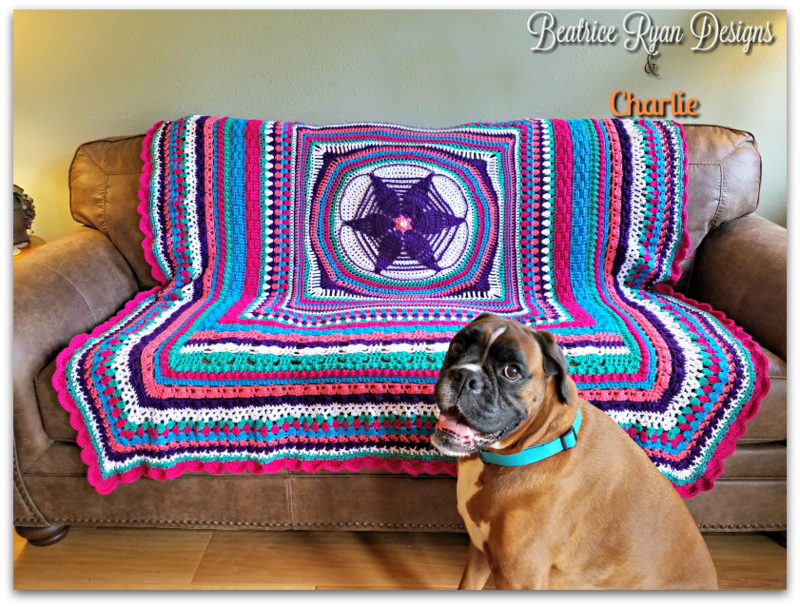 Let’s finish up and show off our beautiful afghans!! Block your afghan into shape using either the wet method or steam method. My afghan measured 60 x 78 slightly blocked, I liked the relaxed look. You can block it to be slightly bigger. Congratulations!!!!! 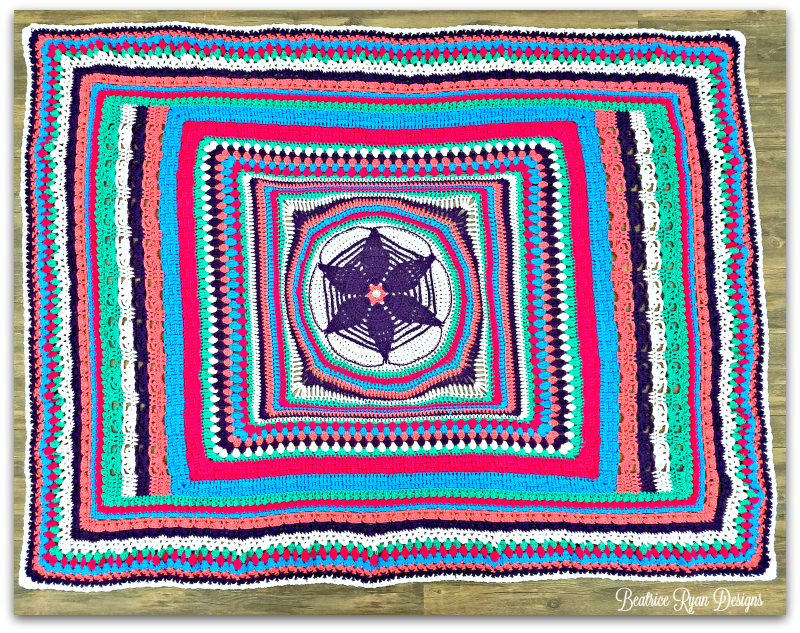 You have now completed the Winter 2017 CAL Mystery Afghan!! 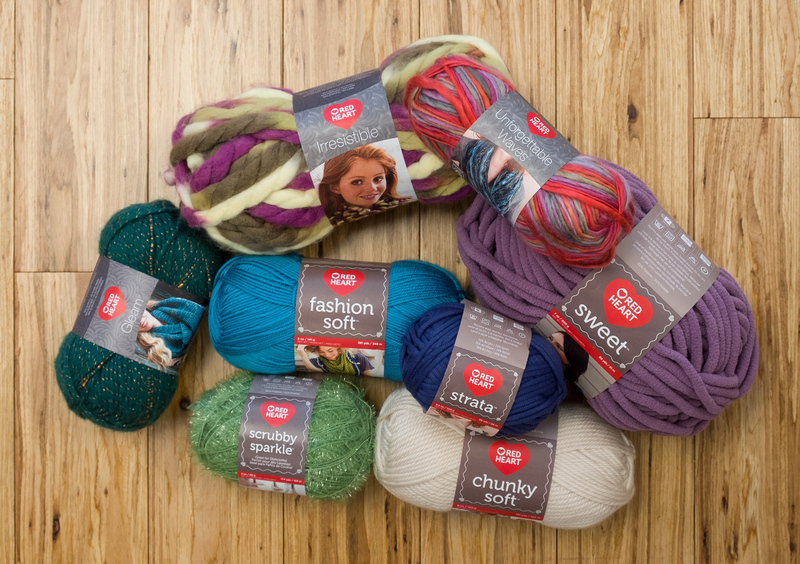 Now… For how you can enter the Red Heart Yarn Grand Prize Package!! You have until April 24th, 2017 at 11:59 pm PST to complete your afghan and email a picture of the completed afghan to [email protected] along with your full name, shipping address (no PO boxes) and a phone number for Red Heart to contact you if needed. I will place all entries into a fun post, each numbered. On April 29th 2017, I will draw the winner using a number randomizer. This giveaway is open to the US, Canada, and Mexico only. Good Luck and I can’t wait to see all the beautiful afghans!! Crochet with Me!! Winter 2017 CAL… Week 11! Here we are… The last week before making the edging and blocking or project into the final piece!! I am so excited to see the finish line… It has been so much fun, and I have love the journey! This week is an easy stitch technique! It has been included in many of my patterns! I hope you love it too! Turn, Join Color A with sl st to the top right corner ch sp. Turn, Join Color B with sl to the top right corner ch sp. Turn, Join Color C with sl st to top right corner ch sp. That’s it… You are now done with the base of your afghan…! Next week, we will be making the border, weaving in the ends and blocking our project… Wow.. Almost done!